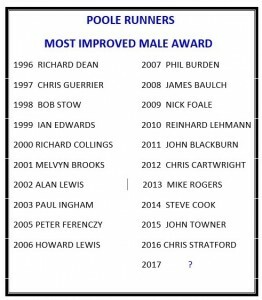 Poole Runners ‘Most Improved Runners 2017 Awards’ compares results for the current year with those for the previous year. 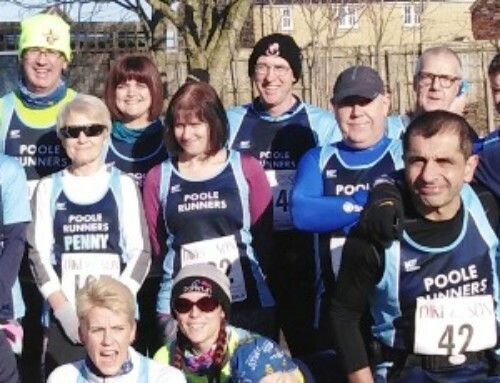 Runners who are eligible need to have been a Poole Runners member in the previous year as well as the current year. 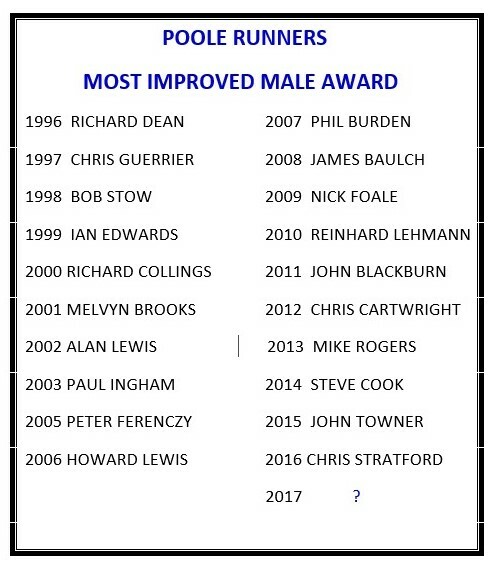 So for this year, we will be comparing runners best performances in 2017 with their best results in 2016. All times are “distance” specific and not “race specific”. 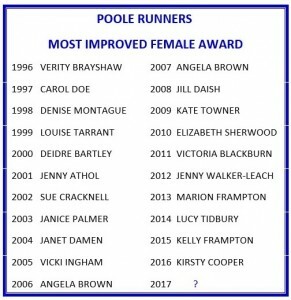 For example if a person’s best 10 mile performance in 2016 was at the Lytchett 10 but their best in 2017 was at the Bournemouth 10, those are the two results that would be used. 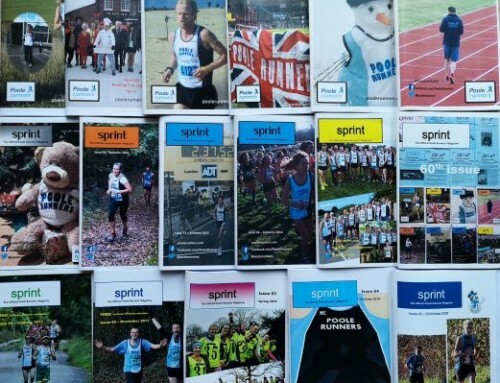 Distances used are: 5k (including parkrun), 10k, ¼ Marathon (Broadstone and Boscombe), 10 Miles, ½ Marathon, 20 Miles, Marathon. 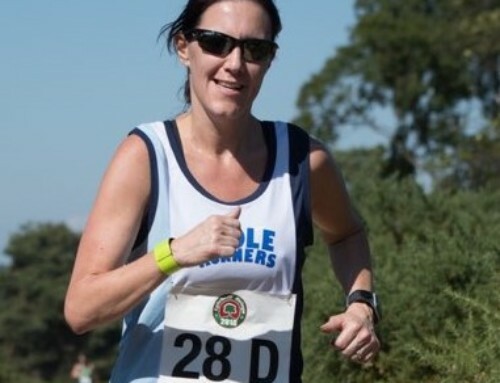 Apart from parkruns only Road Races Results are used. 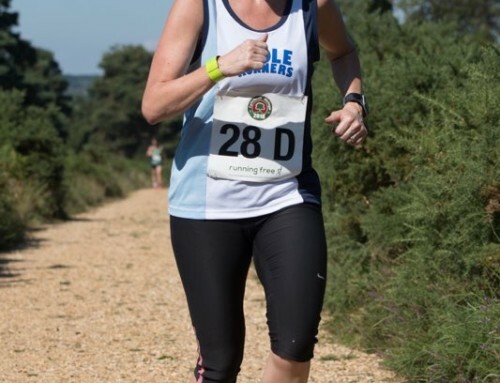 Where possible, data is extracted from the Power of 10, and Dorset Road Race League results. 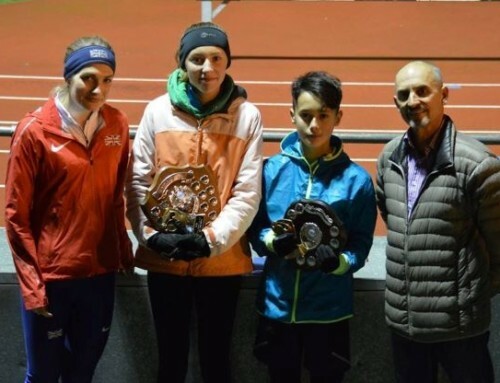 However, it is always well worth letting Dave Cartwright know of any results that may be missed – Deadline Sunday 19th November. 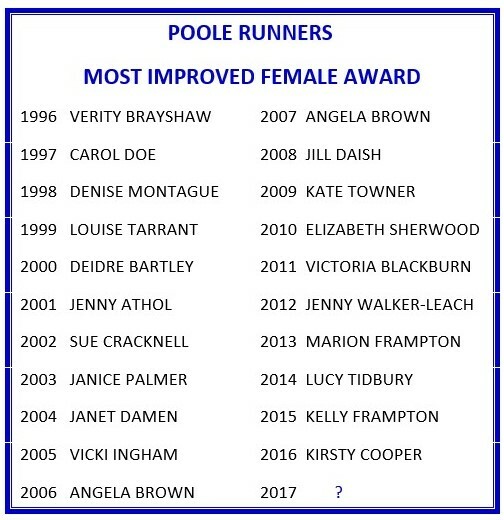 Thank you to Dave for compiling results for these awards.